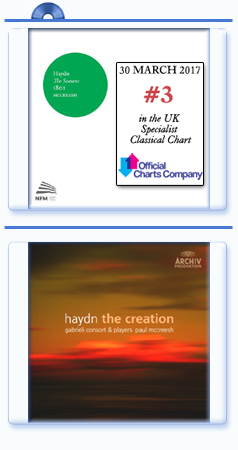 Your newly released CD Album, Haydn The Seasons 1801, has reached #3 in the Specialist Classical Chart in few days. A magnificent reward for a long work by you, started in 2011, in particular with the accurate revision of the original «bad and unsingable» English libretto, and completed in 2016 for the album recording. Moreover, for this recording of The Seasons you have also prepared a new performing edition of Haydn's score, which recreates the Viennese large-scale performances of Haydn's own time, and so your recording of The Seasons can be considered de facto a world premiere for this Oratorio, since it's the first recording featuring such spectacular (yet philological) large-scale forces. Can you tell us about the most crucial phases of preparation of the recording of The Seasons and about your most interesting decisions? 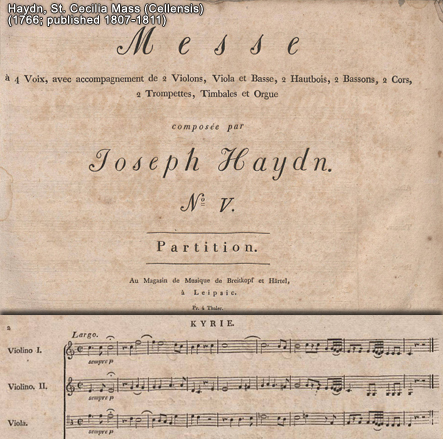 Whilst Haydn performed with both pieces with large and small ensembles, certainly his best known performances took place in Vienna and used quite impressive forces. The standard ensemble included triple winds and double, or sometimes triple, brass as well as a large body of strings. 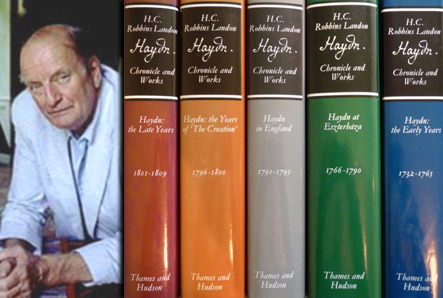 There's something particularly spectacular in hearing Haydn's music with such large forces, and in a highly dramatic and pictorial work such as The Seasons, the added contrasts really help lift the music off the page. Whilst both Christopher Hogwood and I have recorded The Creation in this way, as you say, I think this is probably the first performance of The Seasons given in this style. The Seasons was published in both German and English and although the German version is entirely passable the original English text is often comically inept, and I think this is a large part of the reason why The Seasons is rarely given outside of the German speaking world. Following my revisions on the similarly awkward text of The Creation, there seemed a golden opportunity to recreate a new English version of The Seasons which would hopefully win new friends to in the English speaking world. The text is entirely in 19th Century style, but it's created specifically to match Haydn's brilliant music and to present the singers and the audience with a version that brings them close to the world of Thomson's original poem. I have revised this translation many times over the last 5 or 6 years; it's really like an enormous crossword puzzle, but I have to say – if I'm allowed to – that I'm quite pleased with the final result. In 2008 you recorded and released a new edition of Haydn's The Creation (Archiv Produktion). In your opinion, what are the similarities and differences in the music treatment of these two great oratorios by Haydn? And what do you think are the differences between these two oratorios and the third early oratorio by Haydn, Il Ritorno di Tobia 1775 (revised in 1784 and again in 1808)? As is well known, both van Swieten and Haydn were admirers of Handel and Haydn's The Creation and The Seasons, conceived after the two London Tours, were both written under the influence of Handel's music. Moreover, in 1790s van Swieten, with the help of Mozart, managed to present a few masterpieces by Handel (i.e. 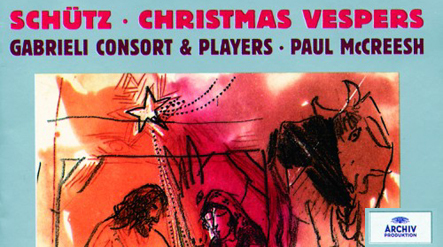 Messiah, St. Cecilia) to the Viennese public in the famous new orchestration by Mozart. And this Viennese Handelianism exerted a great influence also on Beethoven. 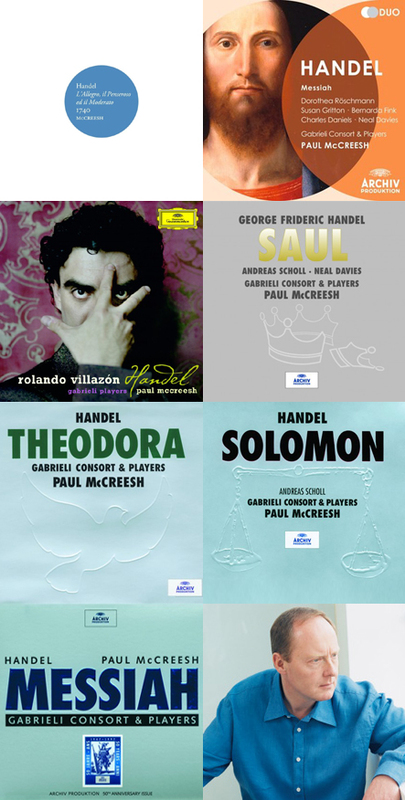 You have built a large discography for Deutsche Grammophon (ca. 43 albums). 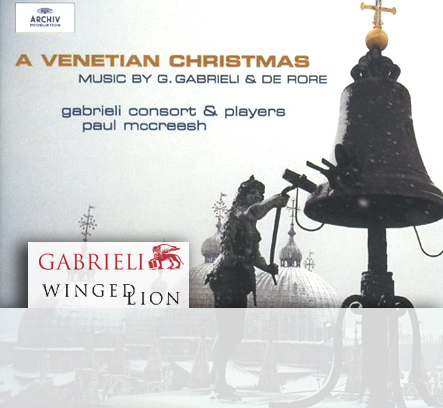 And, trough the years, you have recorded Handel, Haydn, Mozart, Beethoven, Bach and then Berlioz, Mendelssohn up to Britten, Górecki, Ligeti and Pärt, creating thus a powerful trait d'union between the great Sacred Music tradition of Gabrieli and of the Venetian School and the Sacred Music of the contemporary composers of our days. What about your extraordinary musical journey? But that's for you to analyse! What's the story behind the name of your Orchestra: Gabrieli Consort & Players? And what's the story behind your record label, Winged Lion, a clear homage to the Venetian School? As a conductor/entrepreneur and scholar, which new project will see your forces involved in future? 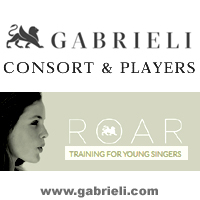 And what about your magnificent project Gabrieli Roar? What can you tell us about its origin, its vision, direction and structure? I just liked the music of the Gabrielis... and the opulence of Venetian repertoire seemed to match the ambition. As for Winged Lion... It seemed an obvious marketing link. As I get older I'm spending more time trying to do at least a little bit to redress the poverty of cultural educational opportunities for too many young people. Or to put it in another way, to broaden access to choral music and singing which is too often an activity of those form either private schools or upper social classes. We don't create special music for young people but we ask them to engage with the great choral repertoire of the last five centuries. Mozart - I never tire of the last 3 symphonies, and likewise with Haydn the last two great oratorios are a constant source of delight and amazement. Which neglected composer of the 18th century may arouse your interest for possible future projects? Mozart and Haydn have written many beautiful Vocal Works, which, unfortunately, are still rarely performed today and which are even almost unknown, which one arouses your interest? 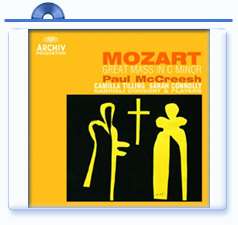 With Mozart I've often felt the sacred music, finely crafted though it is, rarely reaches anywhere near the level of inspiration of the great operas. For your concerts and your recordings, you have visited many different places with a great history and you have had so the special opportunity to work in such splendid locations. Which places and which occasions left the most enduring impressions on you, as a conductor and as an artist? We've been honoured to play Bach in St. Thomas Leipzig, Gabrieli in San Rocco, Monteverdi in San Marco, Mendelssohn in Leipzig, Purcell in Stationer's Hall. 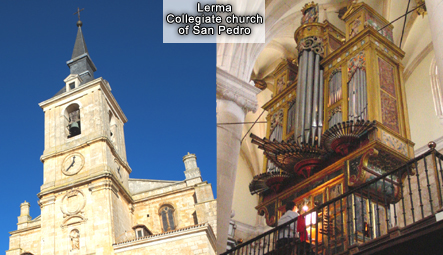 It was amazing to recreate the world of Spanish alternatim music in the glorious Collegiate church of San Pedro, with singers, wind band, string band and the church's two magnificent c17 organs.